A Crusader in Grand Theft Auto V.. 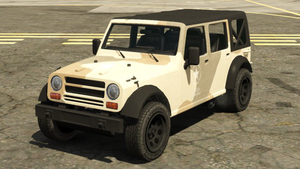 The Canis Crusader is a military jeep in Grand Theft Auto V. It is based on the Mesa. This page was last modified on 25 December 2013, at 06:30.